Mixed in one bowl this French Country Apple Cake bakes up with a custardy middle filled with apples and a crackly walnut and sugar topping. This French Country Apple Cake might become your new favorite cake. 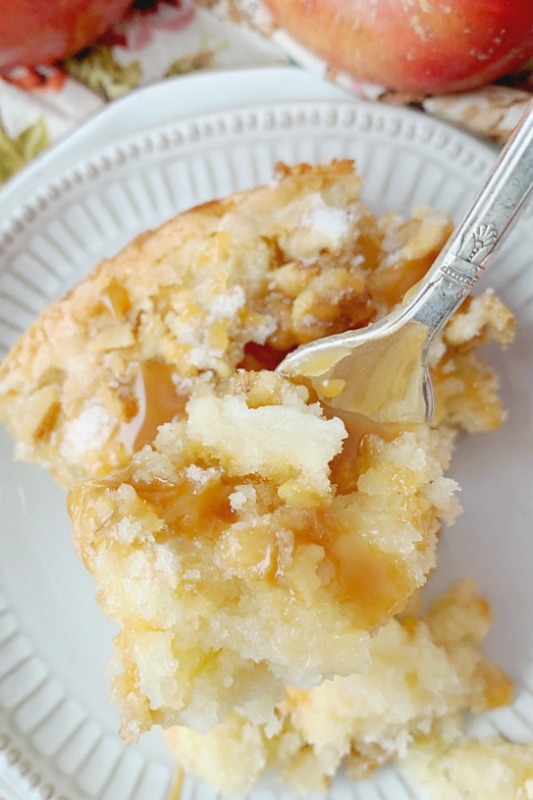 Reminiscent of a classic French Apple Cake it has a crumb that is sweet and custardy with a top that bakes up light and crumbly. The fresh apples pair beautifully with the toasty walnut and sugary topping. And a drizzle of salted caramel sauce provides each slice with its pièce de résistance. Use a firm apple in this cake. Here’s a terrific article that details the 12 best apples for baking. This is the pairing knife I used in the video. I always bake this cake in a standard 9-inch cake pan. You can use a springform pan if you prefer. 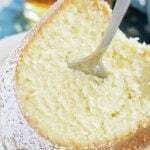 Use a hand or stand mixer to mix the cake batter. This cake will keep at room temperature (covered) for up to two days. In the bowl of a stand mixer, whip together the butter and 1 cup of the sugar until pale and fluffy, 2 to 3 minutes. In a medium bowl, whisk together the flour, baking powder and salt. Gradually add the flour mixture to the butter mixture alternately with sour cream, beginning and ending with the flour mixture, beating just until combined after each addition. Sprinkle the walnuts evenly on top of the cake batter. Sprinkle the remaining 1/4 cup of sugar evenly over the walnuts. Let the cake cool in the pan and slice and serve the cake from the pan. This cake is even better if it is still warm when served! Drizzle each slice of cake with salted caramel sauce to serve. I’m a creature of habit in the kitchen. When I find a recipe I love I’ll recreate it oven and over again. My French Strawberry Cake literally has thousands of fans. So I figured I might as well tailor that same recipe to every season and occasion. I’m sitting here with a cup of coffee and wishing I had a piece of that cake right now! So delicious looking. 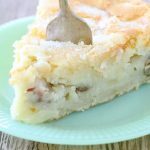 What a fantastic recipe, I love all things cake and apples!!! Wow I wanted to lick my screen! Your pictures are amazing and I love the look of this cake. I’ll be trying this for sure! I appreciate this so much. Wish I could send you a slice! I need to try this cake! That sugary topping looks amazing. 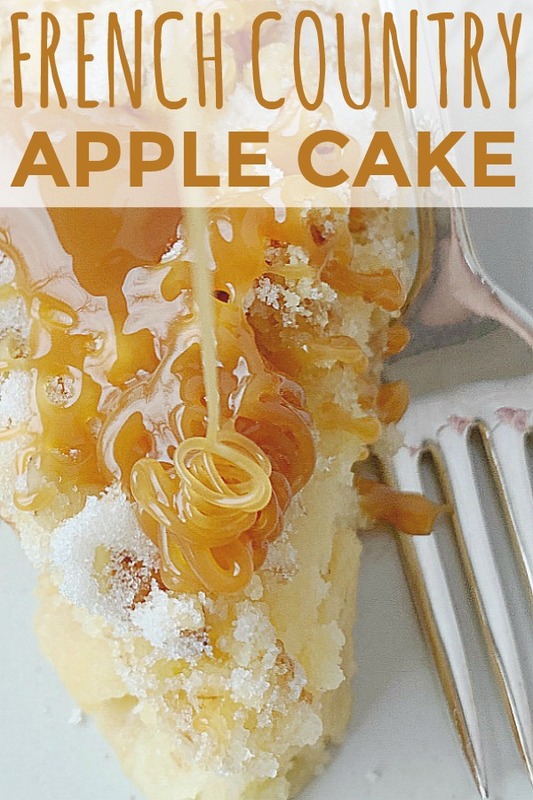 I’m a sucker for a good apple cake and this one hits the mark! 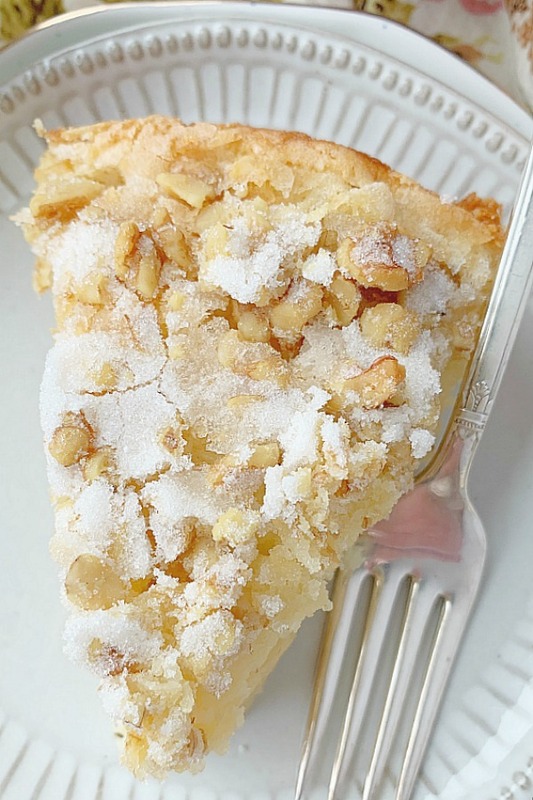 The walnuts are the little extra touch that make this recipe special too! Woops, forgot to rate this yummy recipe – here we go! TI love apple based desserts and this looks out of the world good, thank you for sharing! This cake looks amazing. Don’t know why I never think of apples for cakes since that’s my favorite fruit. And that caramel drizzle just takes this over the top. I hope you try it. Thanks Stephanie! 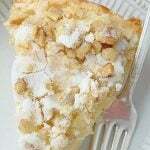 Apple pie is my favorite. I bet this tastes amazing and full of flavor. The texture of this cake is just divine! It really is. Something magical happens in the oven with the fresh apples and the cake batter! Is it weird that I like this cake best for breakfast? I mean the apples make it healthy right? And it’s perfect with coffee. Not weird at all. After I made it I ate it the next morning for breakfast and loved it! I am always looking for awesome recipes that include apples, as I am so bad about eating them raw, yet they are so good for you. This recipe looks perfect for me to get a few more in. I can not tell you enough how excited I am to try this recipe as soon as possible. I love hearing this. I much prefer cooked apples over raw too! This looks and sounds absolutely amazing! Pinning right now to make!!!! Happy to hear it. Thank you for the Pin! Cherries is a new version I haven’t heard anyone else try yet. Love it. Thank you for taking the time to share!